If you've purchased any Private Label Rights (PLR), brandable, white label, or other done-for-you content, you'll probably have felt that same concern. After all, you want to stand out in your market. You want to be seen as an expert in your field who people can trust – someone who knows what they're talking about. Many content providers will tell you to rewrite their content according to a specific percentage to make it unique. Or, you may find you need to rewrite a lot anyway, if the quality isn't up to your standards. Luckily, with Content Sparks, you don't need to rewrite. Instead, you can spend your time adding your own examples and insights. That's where your uniqueness comes in. To show you how this works, I did a demo of one of the modules from our course on ‘How to Build an Email List from Scratch‘. The module is called ‘Define Your Target Audience' (module 2 from the course), and it's all about how to identify your Ideal Customer Avatar. If you're not sure how you can use brandable content and still create something unique, then definitely watch my demo. You'll be surprised at all the options and how easy it is when you have a solid, professional starting point. Are you ready to get started with your own course? 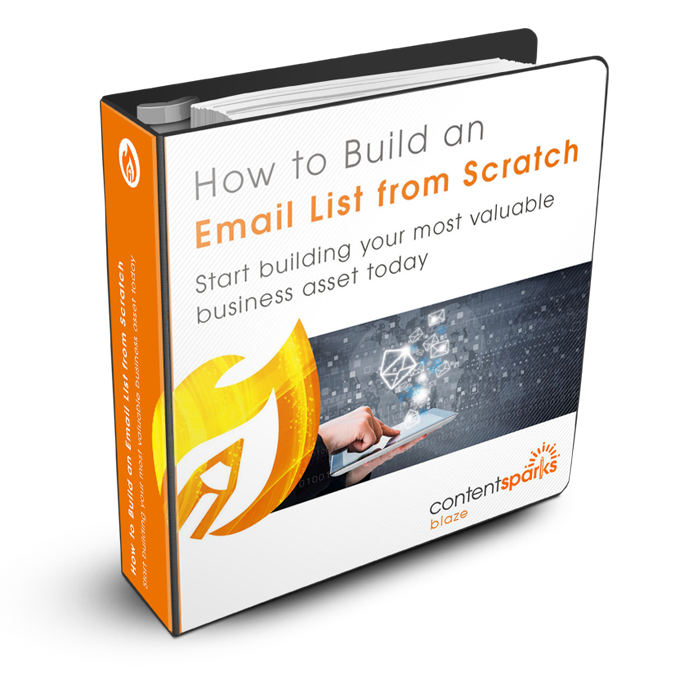 You'll get everything you need to deliver your own program on how to kickstart your email marketing, and it's all customizable for your audience. I hope you enjoy the webinar and pick up some pointers for your own courses. Please let me know if you have any questions!